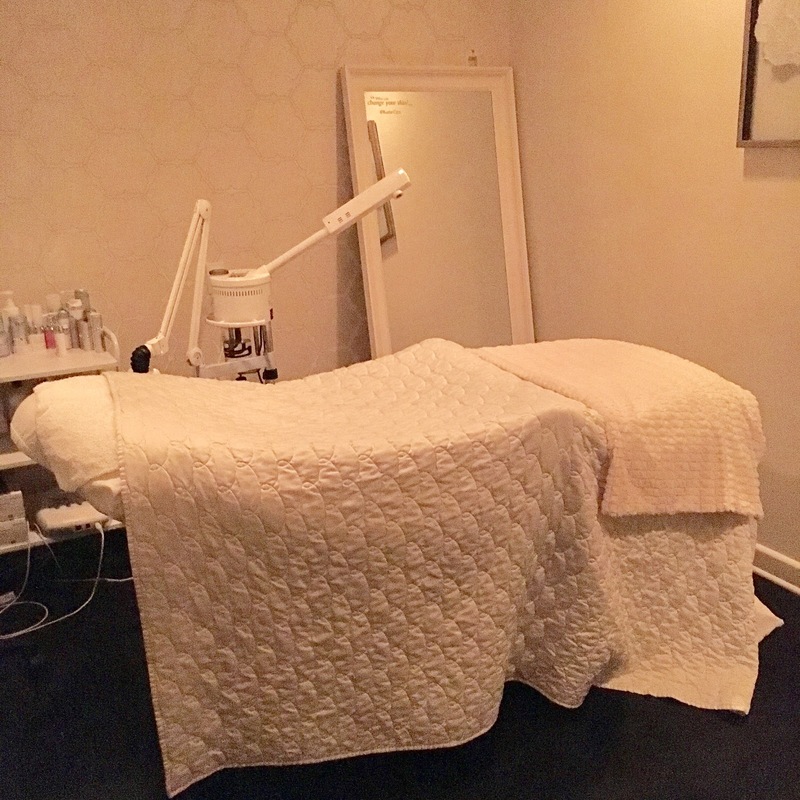 If you're ever looking for an oasis in the middle of hectic, crazy LA (okay, maybe not that hectic and crazy, but it IS still a big city), look no further than Kate Somerville Skin Health Experts. I've long been a fan of Kate Somerville products -- stemming all the way back to 2008 -- and, about eight months ago, I finally decided to pop into the spa for a facial. Well, fast forward to today. I not only went for one facial, I've gone back every month! I even signed up for their Skin Gym Membership, which means I get monthly facials for $33 less than the non-member price -- Skin Gym is an AMAZING deal and totally worth it if you want regular facials! Here are all the reasons why I'm obsessed with Kate Somerville Skin Health Experts -- and why I'm pretty sure you will be, too. 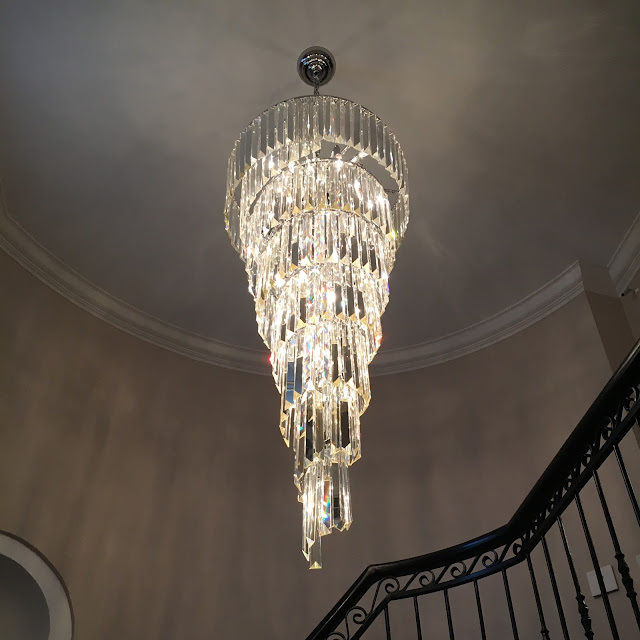 Right when you walk through the door, you encounter this gorgeous dripping crystal chandelier. It just immediately puts you in a glamorous state of mind. The sweeping staircase with intricate scrollwork further adds to the glamorous feel. You have the option to choose a particular esthetician to keep seeing, or to try different ones each time. I tend to stick with the same one unless she's booked. I see Kimberly -- she's been with Kate Somerville for 14 years!! She REALLY knows her stuff. I also really like seeing the same person every month, because she knows my skin and knows how to help me with whatever I might be going through at the time. I think of Kimberly like my therapist for my face. However, I love that EVERY esthetician at Kate Somerville is truly wonderful! I've seen three different people, all with the same excellent results. Another reason going to Kate Somerville Skin Health Experts is so great? Um, LOOK HOW MANY PRODUCTS THEY HAVE IN THE TREATMENT ROOMS! If you're a fan of Kate Somerville products -- and, seriously, why wouldn't you be? -- then getting a facial here is obviously something you're going to love doing. You get slathered with Kate products galore! From cleansers to exfoliators, moisturizers to masks, eye creams to sunscreens, your skin just gets treat after Kate Somerville treat. 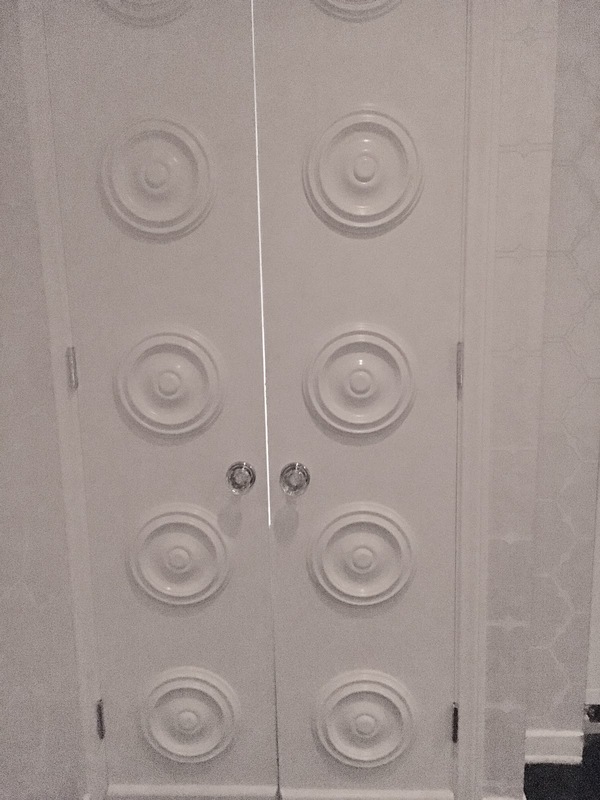 Each treatment room is designed with beautiful French doors. The treatment beds are covered with thick comforters and blankets that cocoon you in luxury. Velvet armchairs, intricate wallpaper ... every detail is picture perfect. My Skin Gym Membership includes the Kate Somerville Signature Facial, which is their basic facial that includes cleansing, steam, exfoliation, extractions, mask and final application of moisturizer, eye cream and sunscreen. There are various offerings depending on your skin type and concerns, with varying price points. But whatever you choose, Kate Somerville Skin Health Experts is truly magical! Kate Somerville Skin Health Experts is located on Melrose Place in West Hollywood. Check out the list of treatments and get more information here. I love Kate Somerville products, and their facials are really great! What a great facial you received! um, exscuse me....skin gym membership? whaaaaatt? My skin needs therapy like that! It's really overdue for some serious professional skincare! Looks like a beautiful and relaxing place to be pampered! This looks like a great place to get away. I need to go visit her! Where is her salon located? Sounds heavenly. I love that you have a membership. I loved the treatment I got from KS in beverly hills. I believe it was the signature facial and it was AMAZING. such great results. I used to get a facial once a month, this post has convinced me I need to start doing it again. When I lived in NYC, I had a facial subscription, and I really loved it. I know live out in the country, and the salons here are not quite like on Madison Avenue or in Beverly Hills so I haven't taken the plunge. Your experience at KS is making me drool. What a gorgeous spa! I could snooze on the treatment beds for a long time. I've only tried her Goat's Milk Moisturiser and Wrinkle Warrior, both of which I love. That looks so delightful. I've only had a facial once ever - they're a bit low on the cost-benefit scale for me - but it was heavenly. What a fun post! I would think having the same person would be really nice! This sounds amazing. I've wondered for years if there was a place like this anywhere near me because I would love a real true facial even if I was only able to get one once.